As I was taking another break from work I decided to spend it effectively and build another piece. 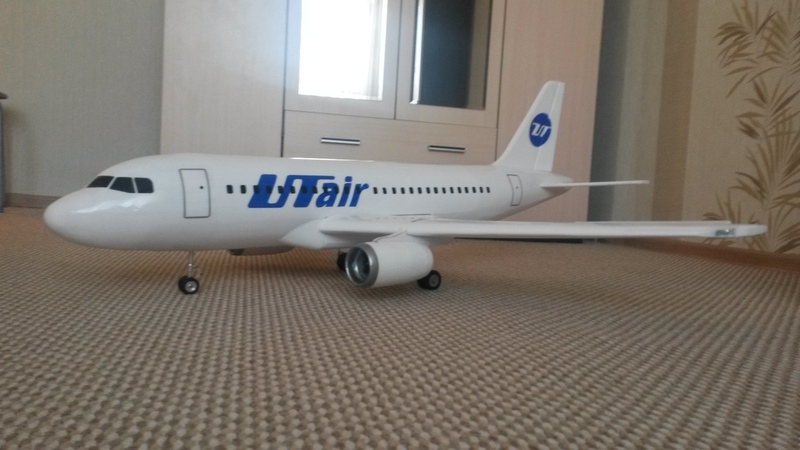 It took me a while to select the prototype, I thought about a Boeing 737, an airbus, and even an L-39 Albatros. Finally, I dug in my box with components and found a brilliant draft for an A-319. That was it for the choosing. Ceiling tile, white packing tape, and a bit of balsa just for reinforcement, retractable sysstems for landing gear, and Hobbyking struts. No technical innovations or complex mechanisms, it is all so simple and somewhat boring. I sanded it and whited out the seams using correction fluid. Next I got down to what I’d never done before – the retractable systems. 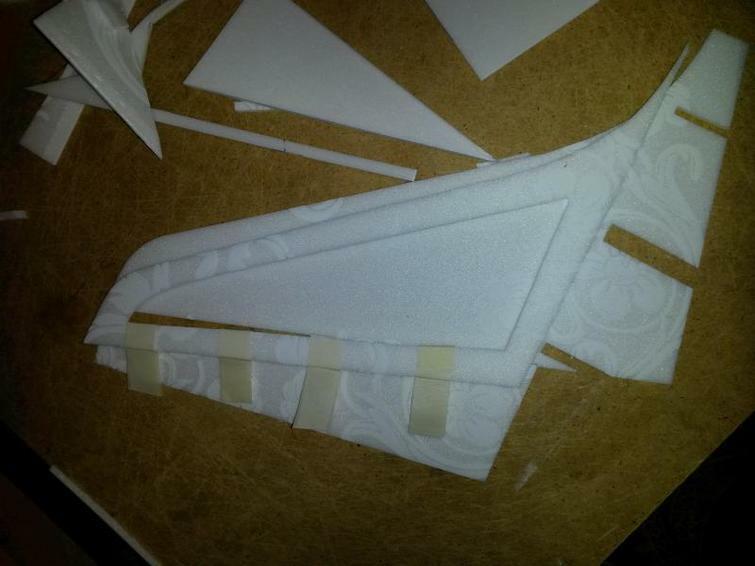 As you can see in the pic, I used nylon pull rods, because they wouldn’t block retraction. Then I put the landing gear it in its place. Because the prototype featured a slightly tilted front strut, there were no problems, as it would not protrude from the fuselage. 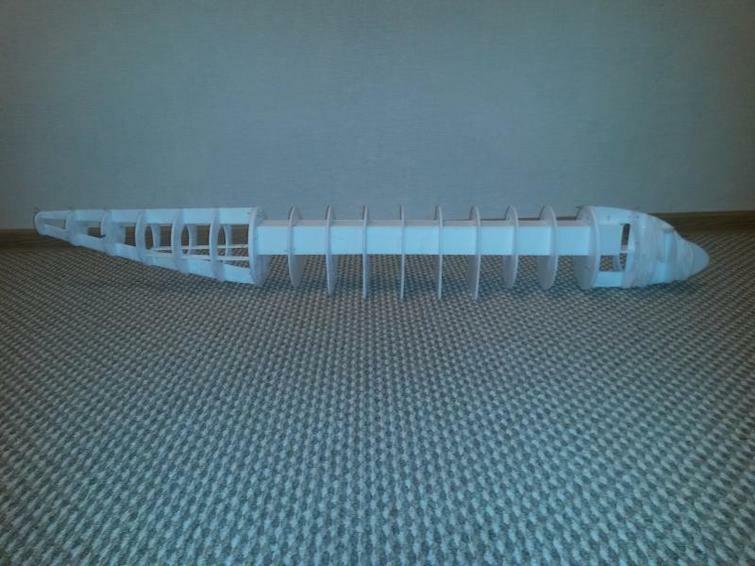 Now the tail. I used a three-layer vertical stabilizer and a two-layer horizontal one. 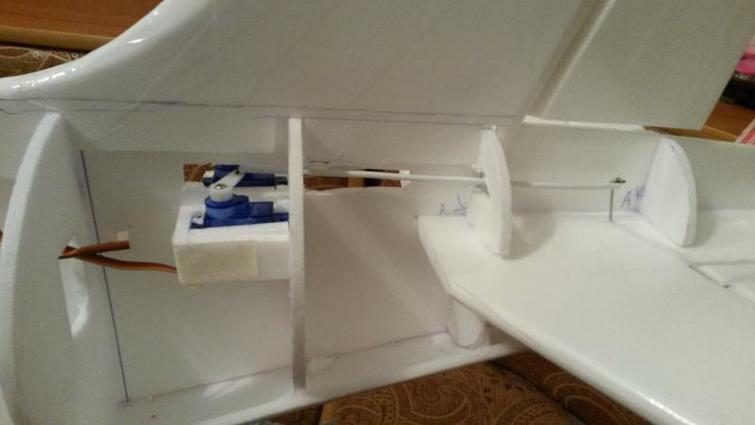 The altitude control rods and the rudder rodss are concealed inside the fuselage just for better appearance. 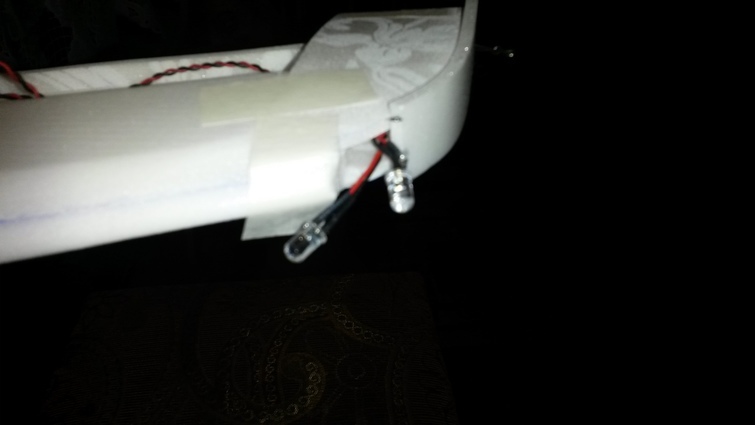 I made the rudder rods out of a paperclip, and the AC rods – out of a piece of insulated wire (used for heating walls in monolith buildings). 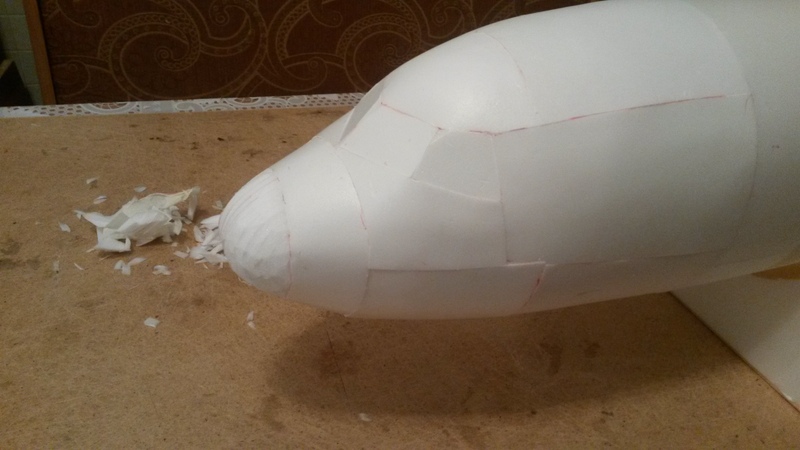 I placed the servos as far back as possible for better balance, because the nose turned out to be heavy. 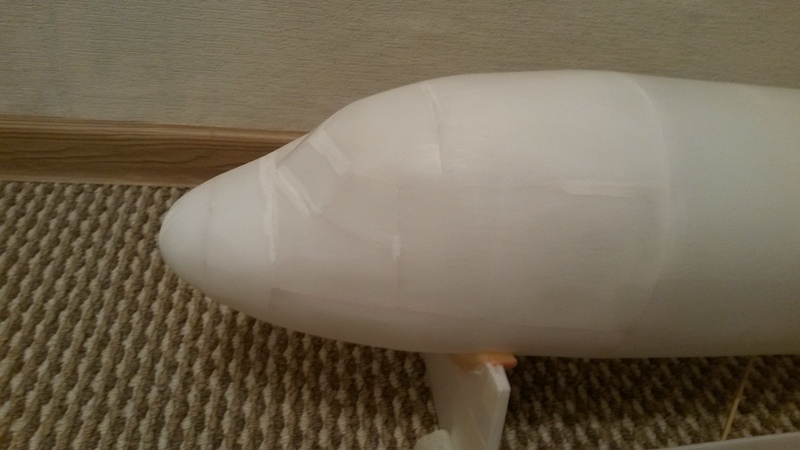 I covered the entire fuselage with adhesive tape. I chose not to picture the taping process. I used the common white tape, which you can see galore in utility stores. As I taped it, I’d use an iron set at its coolest. Then I washed it with Fairy to remove glue from the tape and prevent dust from sticking to it and forming dirty lines along the seams. I made consoles and decided not to fix ribs, although I had already made them. 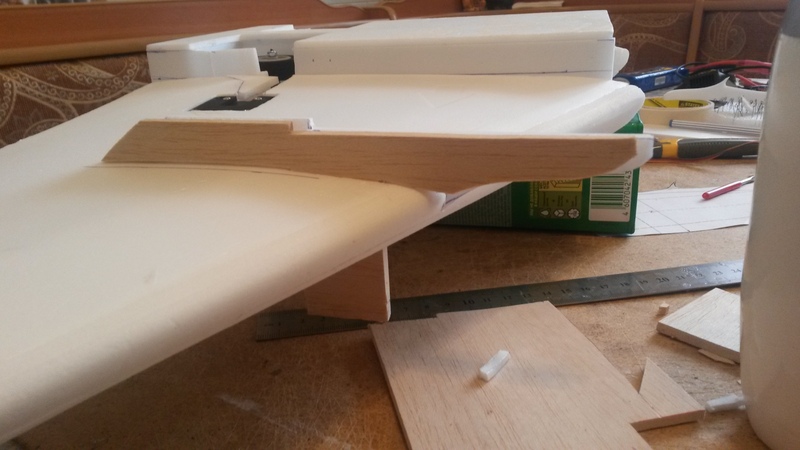 To reinforce the structure I inserted and glued in a full-length spar, which I had made of three layers of ceiling tile. Now the retraction. 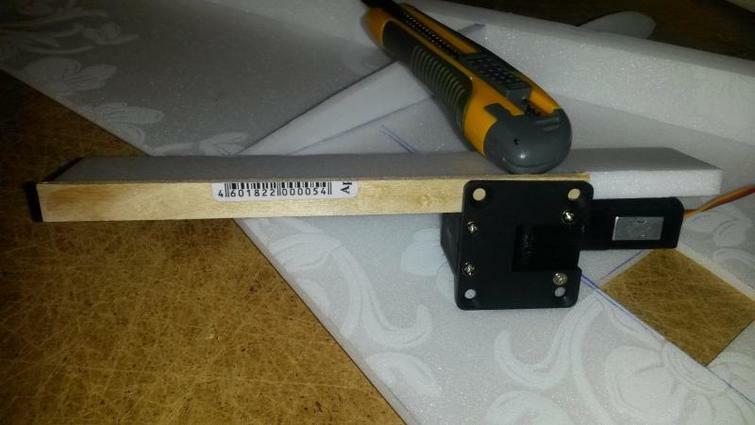 I attached a piece of plastic ruler along the bottom edge of the tile. It looked quite reliable to me, and I thought it wouldn’t break during landing. I had to move the retraction as far from the trailing edge toward the nose as possible, because it was too big and would protrude above the skin. That had zero influence on the position of the landing gear in relation to the ground, because the prototype’s gear was placed a little backward. 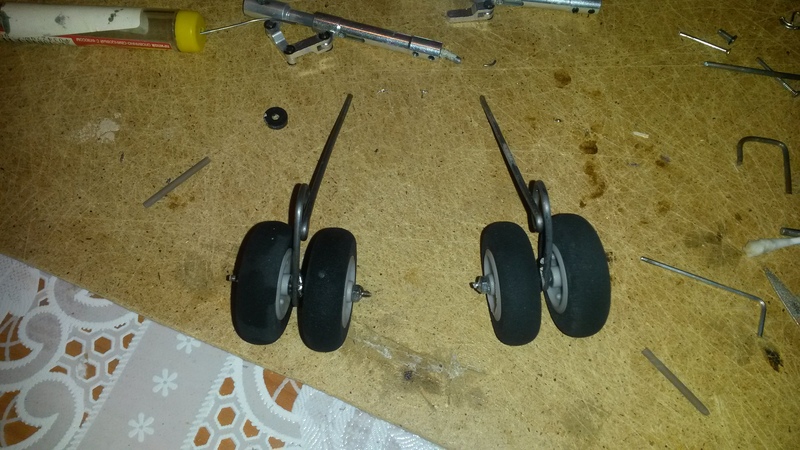 I had planned to use Hobbyking struts, but there was a problem: the strut was tilted and it would provide zero shock absorption. Any impact would tear the entire mechanism out. I considered different solutions, but I was too low on materials to come up with something worthwhile (I spent an entire evening trying to figure it out). Finally, I made struts out of steel wire. They did provide some amortization and I thought they would hold it. 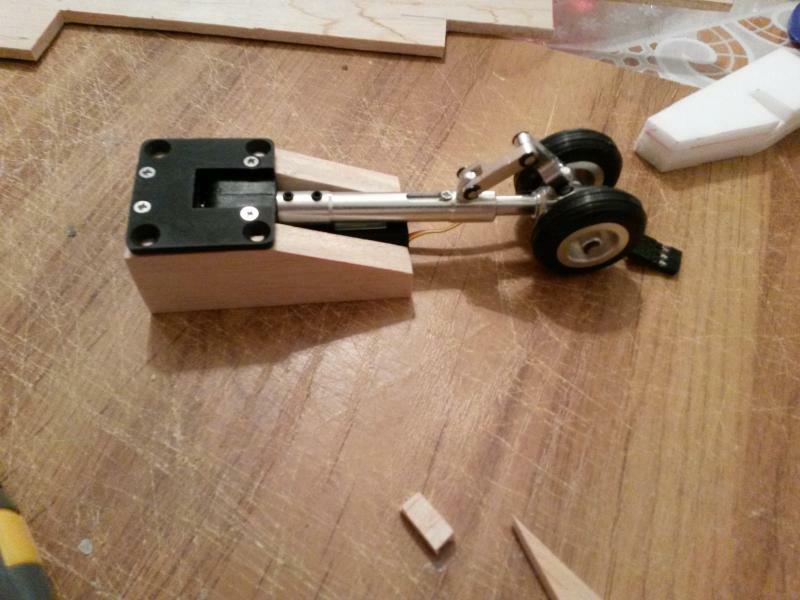 Please, don’t worry about a little weird position of the wheels: I had to bend the wire a little before picturing it. There are two lamps on each side: red and blue, and strobes. Too bad the Hobbyking pack does not have the glint mode. After hours of tedious thinking I decided not to use mechanic flaps, and I fixed them at a 10-degree angle instead. I did so because I liked to fly airliners at a low speed, so I had had to fix flaps at 7-10 degrees in all my previous planes, even though there had been a little mechanization. Second, I wanted a lightweight plane. If I had used mechanic flaps, it would have been at least 60 g heavier. 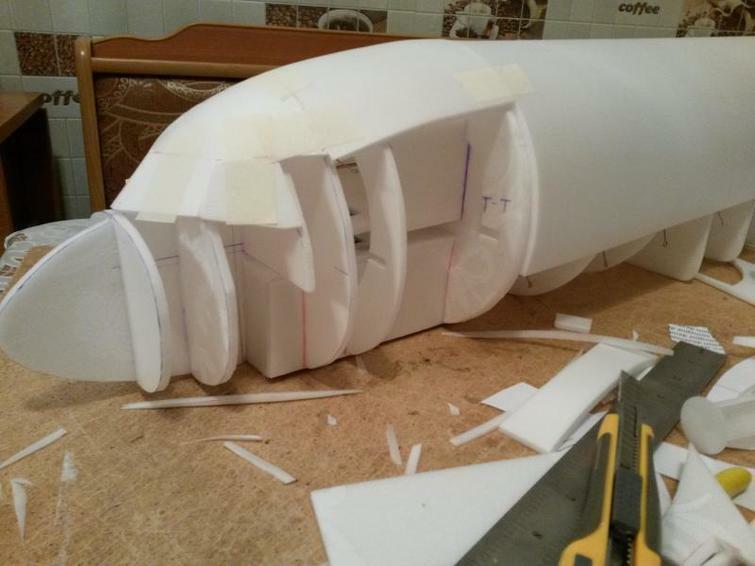 No need to focus on engine nacelles: just three layers of ceiling tile, white adhesive tape, and silver sticky tape, which is used on cars. Well, I pretty much failed to fit it all in one kilo. 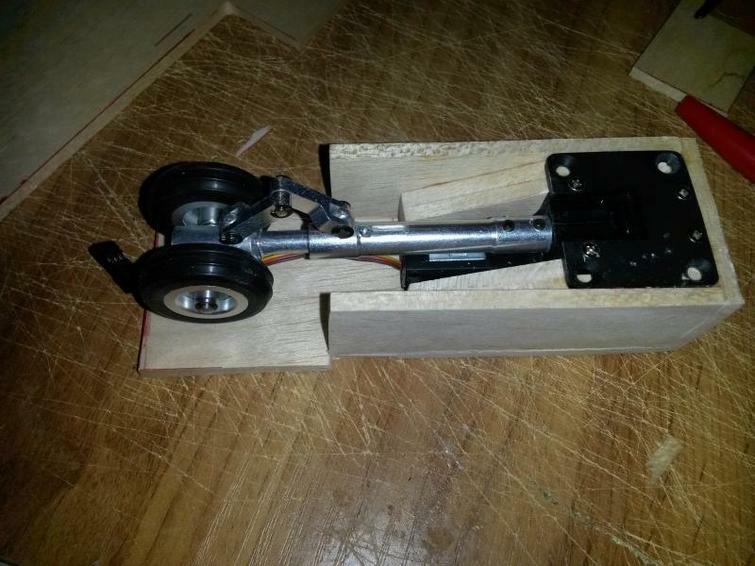 The total weight is 1,176 g, and it includes all servos, two engines, transmitters, and a 2.2A 3c battery. 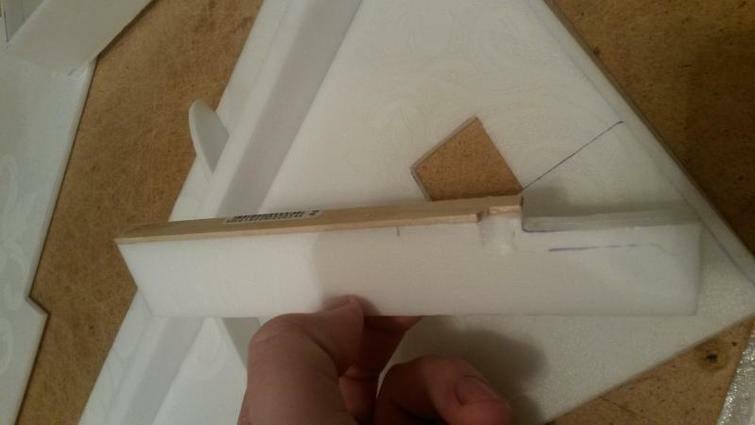 I think another 50-70 g will come with a battery compartment and adhesive tape on the wing. The windows and the letters are made of car tape. There are fewer windows than in the original plane. I’ll also cover the belly with grey tape and place red fins on the wings. Ceiling tile: about twelve 50x50 cm sheets. 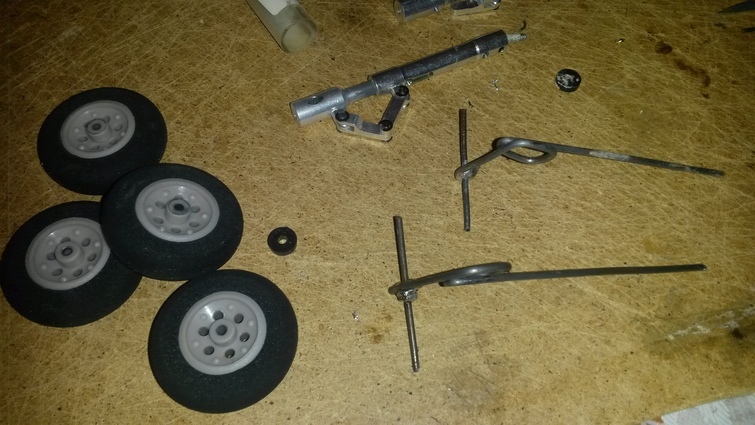 I don’t remember exactly, and I was not thrifty when cutting out parts. Three rolls (30 m) of white adhesive tape. NO EDITING. THIS IS A CELL PHONE FILM!!!!!! I got a little too much altitude, lost speed, got a tilt and, finally, an ultimate tailspin. Everyone who was there rushed to catch it lol. What had been the nose now was more of a pignose! I did not understand, Scotch white or transparent? Gennady, great job! You fellow! Share, please čeretžami. Thanks in advance! You have a link to regul′ leads to the servu. Question, what if there are obstructions is to use light kopternyh regulej in airplanes? They all better, just BEC. 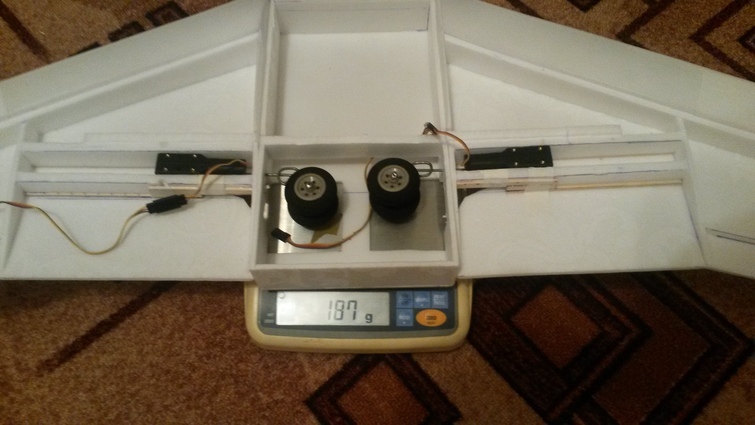 BEC weighs 8 grams with wires, regul′ weighs 7 grams with wires. The benefit is 10 grams. Shortcuts are placed automatically so that I can't change. About using kopternyh controllers, the answer is simple I have not. Although you can use only pick up firmware with sharp old. Now almost everywhere BLheli worth, there are configured these settings. And where it is not worth it, there it is possible to Flash. 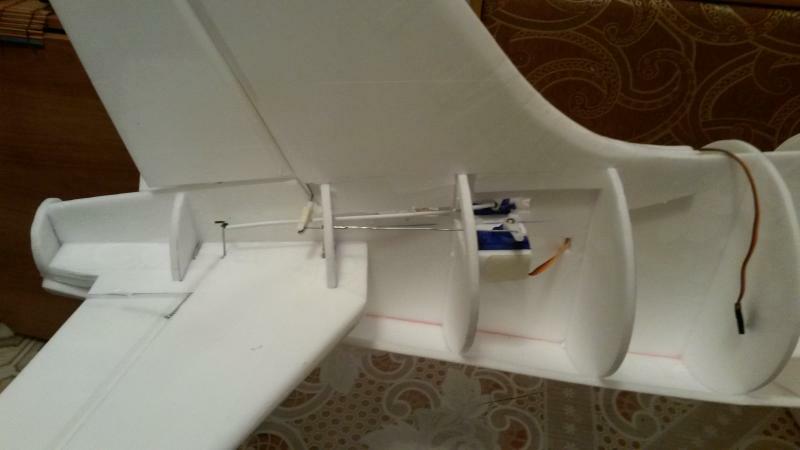 Initially, the strength characteristics of the models (and potential flight) caused doubts: a significant load on the wing spar attachment, foam chassis. However, the video will dispel doubts about flights, decent work, skillful piloting-uniquely "+"! we have in the Meadow this model appeared, from potoločki too. I liked the cool, plus of course. Gennady course done. Obnadëžil Scotch consumption. Me on the plane sweep 1.8 m will need twice as much. I an-148 dared such a thrust lift (670 GR) put 64 pulses. Well, perfectly made model. Yes even from potoločki. + What is the thrust of the impellers? Yes and more- "Vertical stab" is called the Carina. 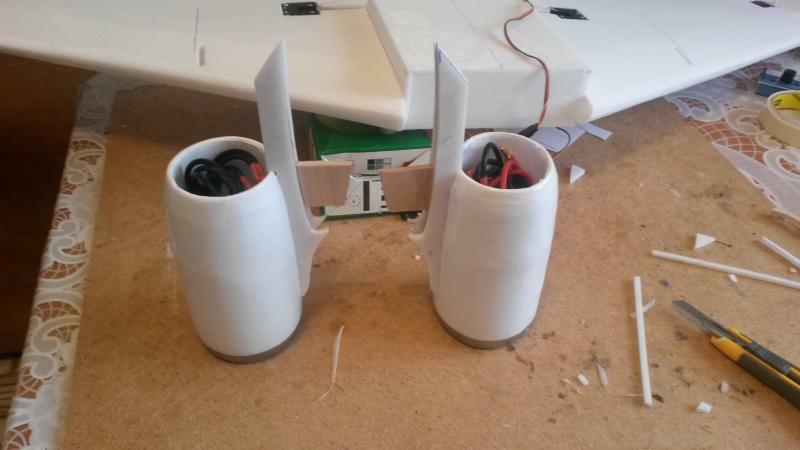 Maximum thrust impellers 680 grams, at full power capacity batteries, then stabilizes in the area of 640. Thrust on takeoff enough, and if the RUNWAY would have been without the holes then razbek was substantially less. In gorizontalnom flight flies perfectly well with traction in 60%, and at 75 you can go climbing. Gennady, you write that the thrust of the impellers 680 grams. Question: you yourself personally measured the cravings? These impellers I have. I went to your link on the impellers-Yes, they are. Comment-there is and my comments-we just discussed the fact that in the description pull substantially, which is typical for the Chinese. Cravings I measured it himself and it is 270 gram fresh 3S battery 2.8 Amps! And here on 4S Akke (as Dmitry Burkov) he develops 350 gram cravings with a rated current of 15 amps. And 390 grams with a current 18 Amperaz. But you have a battery pull, therefore, 3S, 320 grams is questionable. Yes, I measured it himself. Come with travel skeen photos measurement. For interest read your page comments impellers. By the way, I did the test data (pictures) sent in support of "Parkflaer" and wrote about the lack of conformity of the specifications. They brought back 50% of the cost. It was the year 2013. Beautiful model, but these impellers you don't fit. I have the same impellers and I very familiar with them. Pull one impeller with 12.6 Volt battery svežezarâžennom is equal to 270 grams with a rated current of 12 amps. And as the level drops to 230 grams. 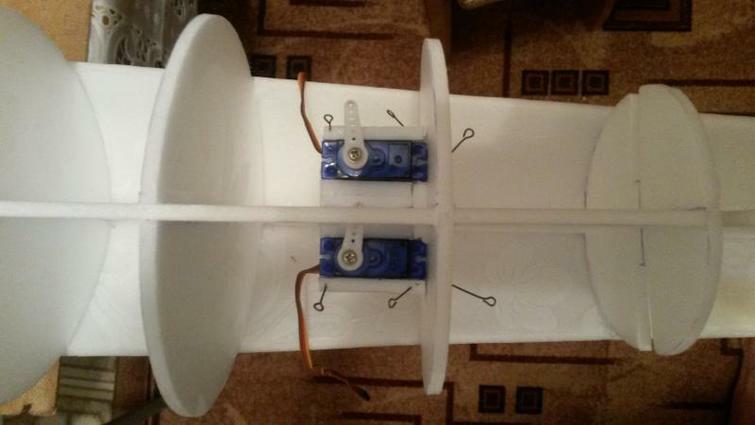 The total thrust 2 impellers maximum 540 grams is equal to the current 24 a. Then deadlift begins to fall-ACC discharges. 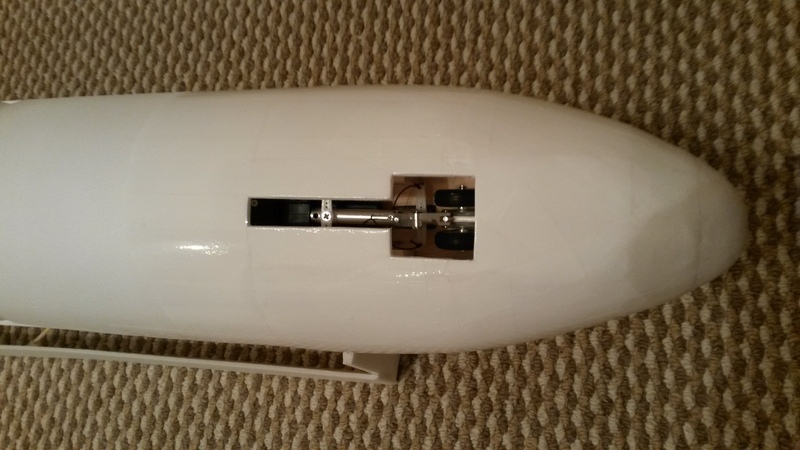 And the weight of your model 1176 grams, which gives thrust 540:1176 = 0.459. This is a very low thrust! You need to have at least 0.7. But it is better to strive towards 1.0.
in addition, the load 52 grams per 1 sq.m. DM. for such a model very much. This is a high lift-off speed and high landing speed-uncomfortable Office, landing at high speed and all that this involves. 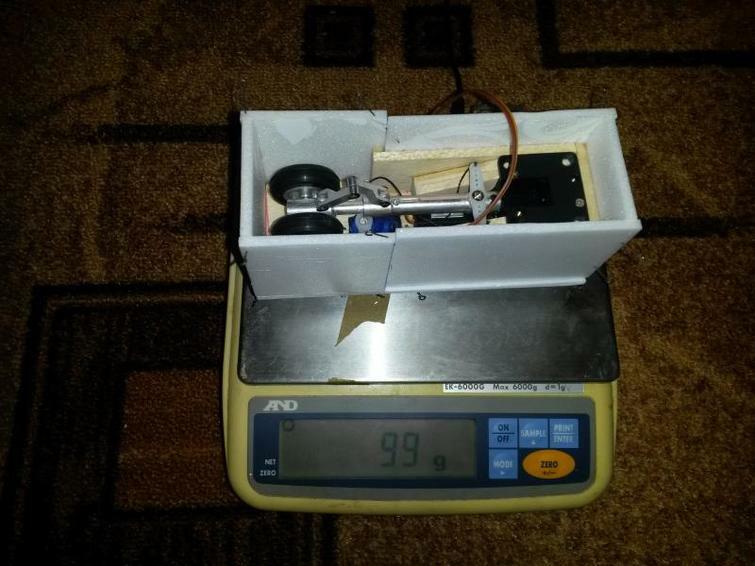 I'm on their models do not exceed a load of 30 ... 35 grams per 1 sq.m. DM. And 52 grams is generally fantastic figure. Miss you with weight. 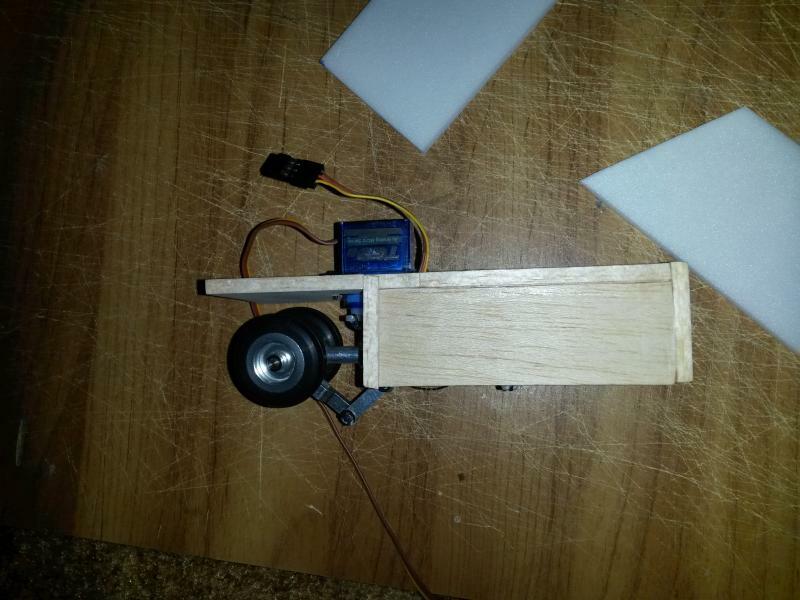 here's my model with these if the weight of 700 grammes, thrust at 0.75. Since when is 319-"Watermelon" became a 5-generation fighter?! If it starts from a place a candle in the sky, passengers will be a little haywire, then to the Salon-Salon will launder even him. Flies? Flies. Well, a lot of speed, Yes. Facilitate and with the same a functional model will fly smoothly and impressive, as befits the passenger time. Answer briefly. 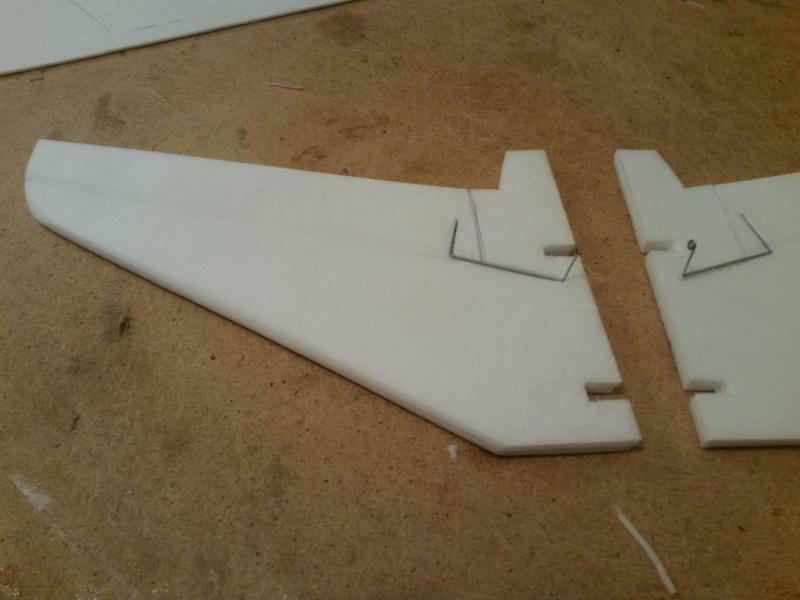 Thrust 0.5 unacceptable in aircraft modeling. In a difficult situation will not reserve on draught and model fails to perform the manoeuvre. But Gennady even 0.5 no-less. I, by understanding these factors, have long passed. And try to have the models thrust not less than 0.7. I.e. 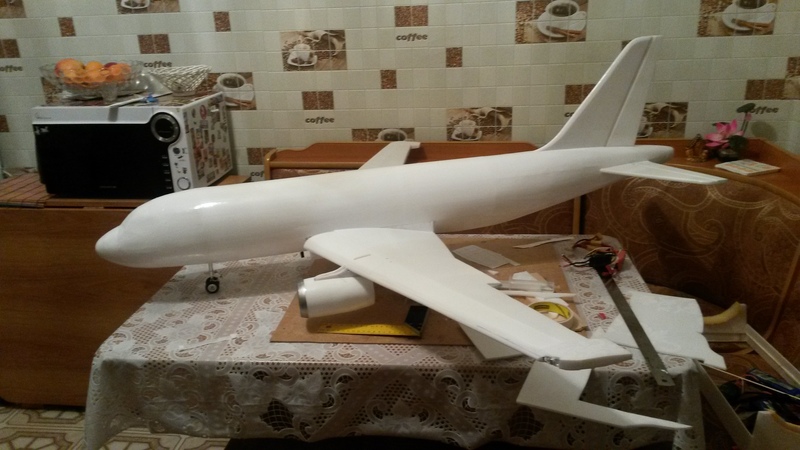 the mass of the aircraft model, aircraft modeling (which carries a maximum payload of camera) 0.5 unsustainable because in a difficult situation will not reserve on thrust and thrust-0.22 at military-transport aircraft Lockheed C-5 Galaxy, which carries equipment and people-acceptable? Or 0.31 from Boeing 737-400 passenger. 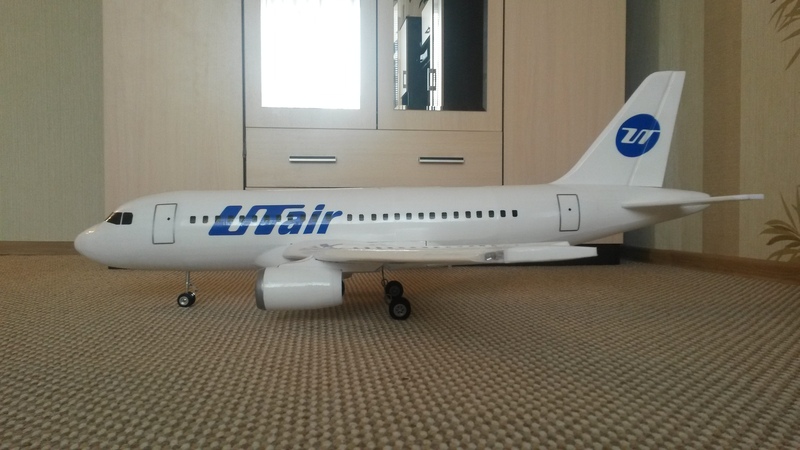 You share somehow models of aircraft from these, although here there is no difference. Only in size. No matter what size, is important for what it is intended. The airframe have thrust-0 at all and yet it flies perfectly. People did a copy of passenger Airbus and T/W him OK as you can see, the flies perfectly. The plane is a glider he holds in the air due to the wings. And you build flying machines with rudders. This is fucked up, comrades. I'm not going to ahue soon. ((You can even usrat′sâ with their outs. PS Degtyarev also racially based roženepriâznennomu minusuete? Well expressed the people disagreed about cravings and what? Even nasty. But post about anything plûsuete, like a zombie. Keep, you do good work. Fu. 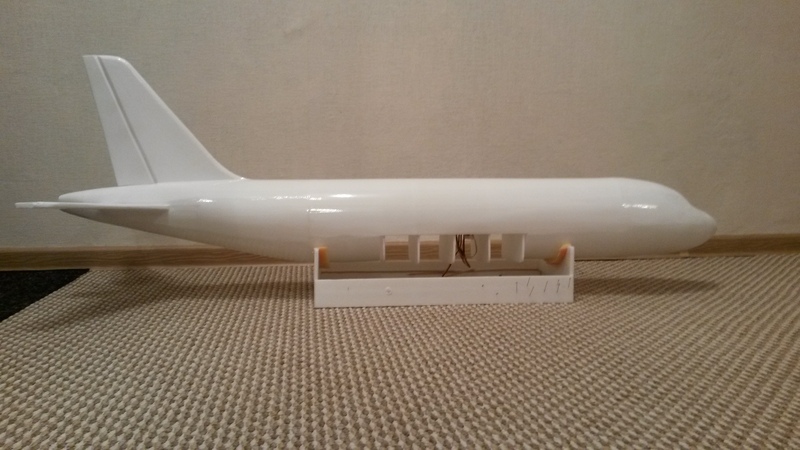 I'm not against the Gennadiy, just noticed that the model before take-off takeoff is very large, and there are two reasons: the load on the 1 sq DM. is too great. And little traction. And that is why one of the videos after a sharp climb and stall occurred and carrot! Simply not enough traction due to the low tâgovooružennosti. Just keep this in mind in the following works. for example, one of my impellernyh Mirage model. : 550 600 = 0.916. Load on the 1 sq DM. = 26 grams. In the video you can see how this affects the dynamics of flight. 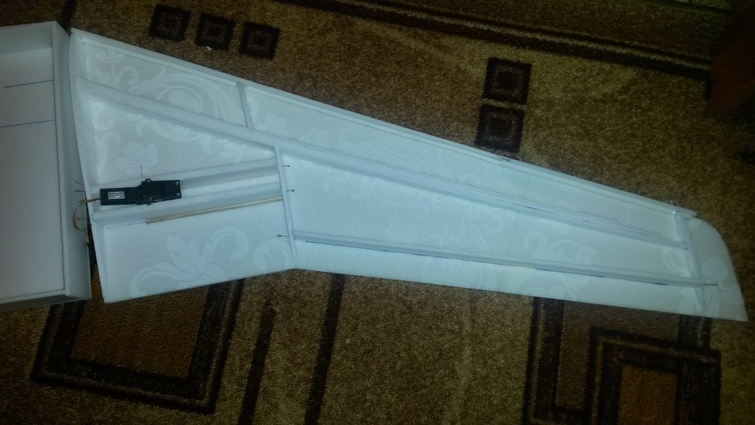 The longitudinal stiffness of wing enough with this tie? Horošŝaâ machine, an excellent landing on the third video. Super.